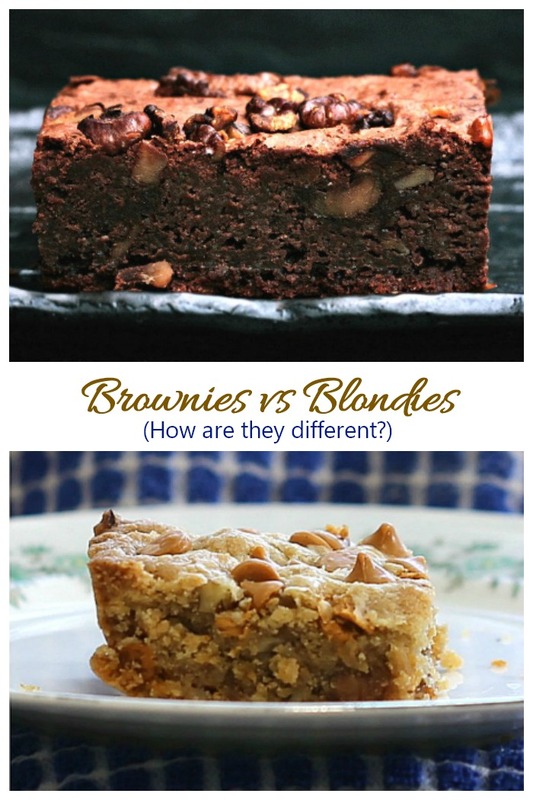 Difference Between Brownies and Blondies - Is it Just the Color? 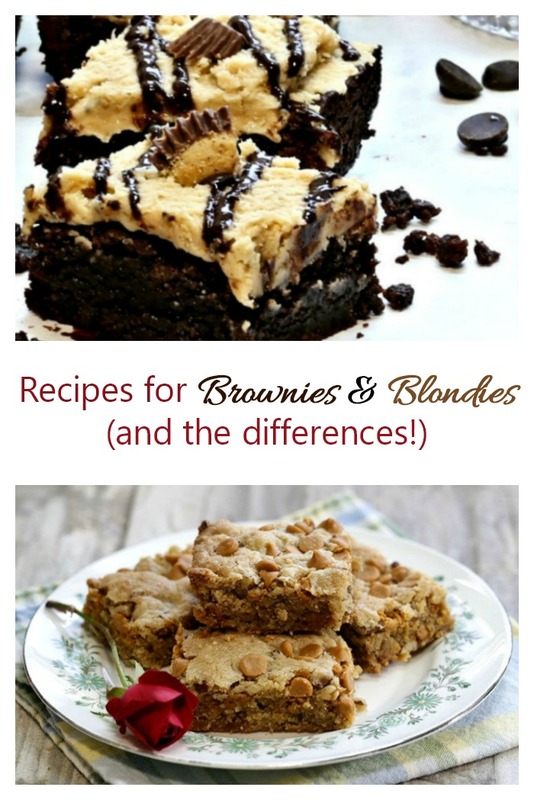 Difference Between Brownies and Blondies – Is is Just the Color that Matters? I have seen many recipe makers call a blondie a butterscotch brownie. While technically this is somewhat true, in actual fact, a blondie and a brownie are two completely different dessert options. The difference between brownies and blondies comes mainly from the color and the main ingredients. Brownies are arguably one of America’s most popular dessert. After all, what is not to like about the combination of butter, flour, sugar, eggs and chocolate in any type of dessert? And the fudgy cake like texture that stands up well makes them a popular choice for pot luck dinners and bake sales. It stands to reason that cooks would tinker with the ingredients to come up with a light colored brownie. But wait – where is the chocolate? It’s time for more of our cooking 101 tips! Blondies and brownies do have a few things in common. They both feature eggs, flour, sugar and butter in their list of ingredients. They also both have a fudgy texture and are normally cut into bar shapes. Finally, both can feature “add ons” to the ingredients list, such as chopped nuts, extracts, coconut flakes, and a few other items. The two desserts could actually be thought of as “cookie bars.” They have the lovely rich cookie taste but are not quite as crisp as a cookie. But you can’t call them a cake, since the ingredients mix makes them more dense than a cake. 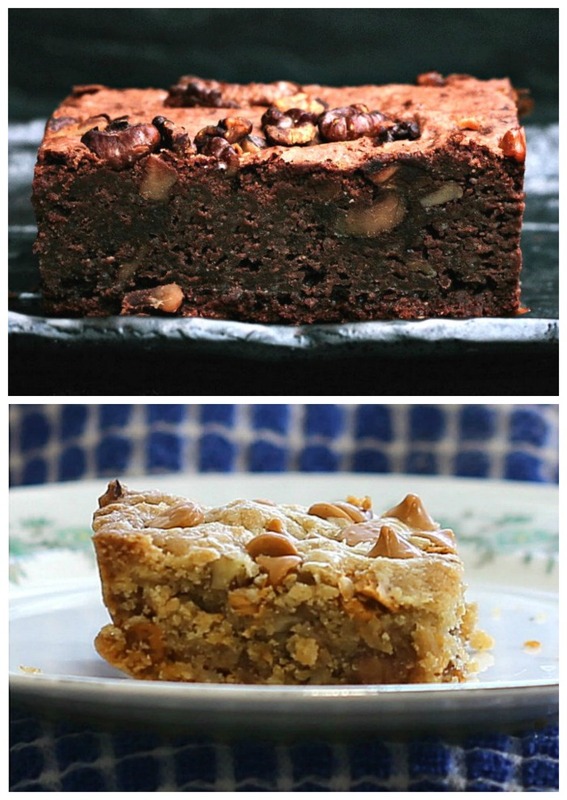 The whole texture of blondies and brownies falls somewhere in between a cookie and a cake. When you look at a tray of the two bars, it’s easy to see that blondies are much lighter in color than brownies by a mile. So, is a blondie just a type of brownie, but lighter in color? That would seem to be an easy question to just say yes to and then move on, but let’s look a little closer by examining the ingredients as well as the colors of the two desserts. Think of the blonde and a brunette. One could argue that these two haircuts are all there is to differentiate the two women, but the women have personalities, as well. And so it is with cooking. Not only is a blondie light tan in color and a brownie a dark brown, but the flavors of the two are totally different. Thankfully, if you love the taste of brownies, both types of desserts have a similar fudgy cake like texture, that is more chewy than a cake. It is one of the appeals of brownies. A blondie has a similar texture, but with an overall lighter taste that is still very sweet. I think of a blondie as a sweet dessert and a brownie as a rich dessert, particularly if it is frosted. If you tasted both with a blindfold on, you would be thinking brownie because of the texture, but would wonder about the taste! A blondie is more than just a blonde brownie. 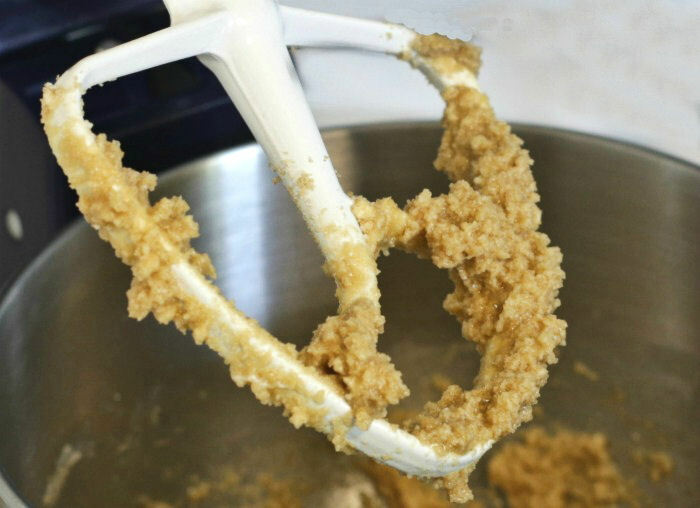 Blondies have no chocolate in them and instead use vanilla extract and brown sugar to give the bar flavor. They are rich and sweet and are rarely frosted, since the brown sugar gives the bar a butterscotch flavor that is sweet on its own. Blondies often contain flavored chips such as butterscotch, peanut butter or even mint to give them additional flavor. 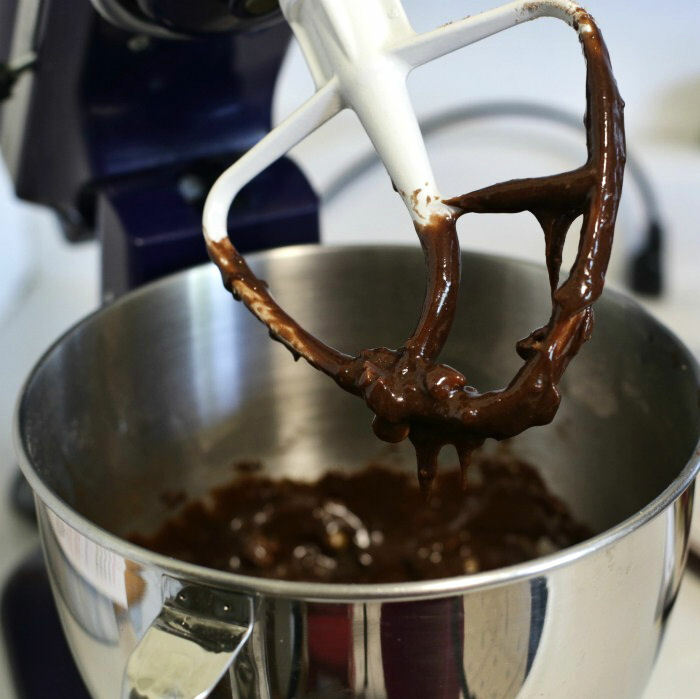 To make a rich brownie, you’ll need to get out some form of chocolate, either chocolate chips, baking chocolate or some form of cocoa. Look at that color! In a brownie, the vanilla extract is often omitted and it would be unusual to have brown sugar as an ingredient. Normally white sugar is the sweetener. (Alton Brown uses both vanilla and brown sugar in his cocoa brownies, but he is known for unusual taste combinations.) Look at that color! The best way to really discover the differences between brownies and blondies is the taste test! Here are some recipes of both to try out to see which you prefer. Candy Corn Blondies – The perfect sweet treat for Halloween or Thanksgiving! Snickerdoodle Blondie Bars – These have the great flavor of a snickerdoodle cookie. Butterscotch Blondies – These rich bars have an extra helping of butterscotch in them! Fudge Brownies with a Peanut butter frosting. So rich and decadent. Save up your calories for this dessert! Bailey’s Irish Cream brownies with a rich chocolate ganache. Perfect for St. Paddy’s Day! So which will it be? Do you go for the rich decadent flavor of butterscotch, or the deep, delicious chocolate taste in your fudgy cake like bar? The choice is yours! Let me know which you prefer in the comments below.